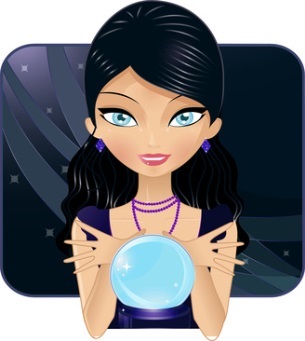 It is normal to be a little apprehensive when seeking out a professional psychic. After all, the psychic profession has gotten a bad reputation due to some many fakes and frauds. There are plenty of scam artists out there who are just out to make money, but fortunately there are still plenty of authentic psychics out there who are genuinely interested in helping people. In order to avoid psychic scams, you should be very cautious. Here are some helpful hints and suggestions to ensure your psychic experience is positive. Before you even make an appointment with a psychic, there are a few preventative steps you can take to ensure you are working with a legitimate psychic professional. The best way to ensure you are satisfied with a prospective psychic is to use a psychic that a friend or loved one has recommended to you. Your friends and family will almost always offer their honest opinion, so you can trust their referral. If a personal reference is not available, then you will need to do some research online. Online referrals can be tricky because many fraudulent psychics will post fake reviews to lead consumers astray. Gushing or overly positive reviews could be a sign that the review wasn’t written by a real customer. Look for realistic, quality positive reviews from reputable sites. When you find a psychic you feel comfortable with, pick up the phone and reach out. Speaking with someone on the phone can help you feel more comfortable. Most of the time, you will be able to tell if the psychic is real just by having a conversation with the person. Trust your instincts and choose a psychic that puts you at ease, seems professional, and is clear about their services. When your heart and your mind are open, it’s easy to be susceptible to a cold reading–a reading that uses educated guesses instead of psychic ability. The fraudulent psychic will typically watch for physical and other cues to give them information. If the psychic seems to only know information that could be deduced by what you have already provided, then you are probably dealing with a fake. A vague reading is often frustrating and unfulfilling for customers. In addition to being unsatisfying, it is also usually fake. If a psychic is sticking to “yes” and “no” answers, then something is definitely wrong. Of course you can’t expect the psychic to know everything or be too specific, but they should be able to answer open-ended questions with some level of detail. Psychic Hotlines are one of the most common forms of financial psychic scams. This may seem like a convenient way to get a quick psychic reading, but the majority of authentic psychics can’t be found by dialing a 900 number. Don’t waste your time or money on this scam. Not only are the “psychics” fake, but you’ll be kicking yourself when you get your phone bill. One common scam that fakers use is to see “money trouble” in your future, but not to worry, your luck is about to change. You are about to win the lottery or even inherit money from a long-lost relative. You may receive an email or phone call days later to confirm this prediction. The psychic will then skillfully solicit information from you such as your bank account number. This may seem like an obvious con, but plenty of people have become the victim of this common scam. The curse scam can be very lucrative for the right con-artist. The “psychic” describes a recent loss, undesirable life event, or even just dark energy. You immediately confirm that yes, you have experienced something negative recently (who hasn’t?). The psychic has bad news—you are cursed. The good news is for a fee, this curse can be lifted! Some skilled scammers can milk the curse scam multiple times, and trick victims into paying time after time to have their “curse” removed. This is one of the most important questions to ask yourself when looking for a psychic. Scam artists prey upon customers they perceive as weak. If you are not in an emotionally stable position, this may not be the best time to have a psychic reading. Truly think about how you can benefit from a psychic reading. Is this really the best time for you to go to a psychic or do you need another kind of support? Many people consult a psychic when they are experiencing serious health problems. In this weakened state, you could open yourself up to being scammed. Take some time to consider whether or not you should see a doctor or a psychic. What you need, may be medical attention, not a psychic reading. Also, if you have been given a certain diagnosis or prognosis by a medical professional, don’t turn to a psychic for a “second” opinion. Even professional, legitimate psychics are not trained to offer medical advice. Those who have recently experienced a death of a family member or friend are also at risk for psychic scams. This is a time when many people need reassurance and comfort. Fake psychics will have no problem taking advantage of your weakened state. These psychics will claim that they can speak to your dead relatives or friends. While this may initially offer you some peace, you don’t want to be taken advantage of by these con-artists. You don’t have to be a psychic to know whether or not someone is a fraud, you just have to keep your eyes open and look out for the warning signs. By doing the proper research, you can almost always find a reputable psychic. If you recognize any of the red flags or scams above, then you are probably working with a scam.